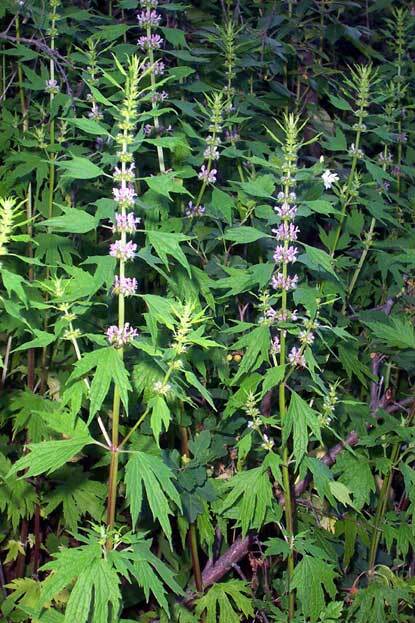 Motherwort: the name alone conjures up comfort. Her deep green leaves extend like gentle hands. Her pink/purple flowers let you know that there is something soothing about her medicine. Her small thorns let you know that there is something powerful in it too. I have come to see motherwort’s medicine as a lesson on the interplay between gentleness and strength: in order to truly embody one quality, we must wholeheartedly embrace the other. Keep in mind, her botanical name is Leonurus Cardiaca meaning lion heart. Like most mothers, this is an herb that multi tasks. Motherwort is used to strengthen and invigorate the heart. A family member who started using motherwort to treat heart palpitations has not complained of them since. This herb helps balance hormones, is fabulous for menopausal women and women dealing with PMS. Motherwort plays an important role in keeping my moon cycles comfortable as it alleviates menstrual cramping and helps promote flow. This herb is also known to help those suffering from high blood pressure. Motherwort has all these great gifts, yet when I think of this beautiful, lion-hearted herb, three words come to mind: ease,rest,centeredness. I started using motherwort after I flew into a rage at my (then) three year old daughter. I was at my wit’s end dealing with Serene’s daily tantrums. I felt isolated caring for my two girls for hours on end while trying to juggle endless cleaning, mountains of laundry, and constant errand running. (I am not a natural at this stuff) I hadn’t had a moment to hear my own thoughts in what felt like an eternity and I certainly hadn’t had a night of unbroken sleep in over a year. I snapped. My daughter began her mix of screaming and crying and I found myself almost standing outside of myself. I yelled back, shook my daughter by her shoulders, and put her in her room. It was not simply what I did, it was as the intensity of my anger that scared and shocked me. I felt totally out of control. I was trembling inside. “Do you have motherwort?” My teacher Robin asked when I told her about the incident through tears. That was my introduction to this healing plant. This herb soothes our nervous systems and helps us get back to our centers. I have found that using motherwort gives me more space to reflect before I react. Sometimes, when my daughters are going off, I listen to them and then give them about ten drops of motherwort tincture in water. It helps! I use motherwort when I am faced with intense feelings of anxiety, when I can’t sleep, or when my thoughts are flying by so quickly that even I can’t grasp them. I’ll take a dropper full of tincture (about 20-25 drops) in any of these situations. Taking motherwort feels like taking a deep breath. I am discovering that motherwort’s gifts as a nervine also make it a supportive ally during times of grief. In her fabulous book, Opening Our Wild Hearts to the Healing Herbs, Gail Faith Edwards writes, “At times of extreme emotionally upset, when you can’t hold yourself together or stop crying, 20 drops of motherwort tincture can be taken as often as necessary.” This is an herb that nurtures. Because Mamawort is very, very bitter, I prefer using her in tincture form. (The bitterness of this herb lets you know that it can do wonderful things for your liver too.) Enjoy the gifts of this big-hearted herb, they are many. How do you use mamawort? I love that it’s a bitter, meaning it will have some cleasning affect on the liver, meaning it will multi function by clearing the unwanted from the body and the mind! I’m all over it! Thank you for being honest about where you are right now with your daughter. I think being able to admit that we are frustrated is where healing begins. Please let me know how it goes with motherwort. I know it has helped me a great deal. I hope you have a beautiful experience with the lion-hearted one also. Motherhood is serious work. Respect to you for all you are doing. This is so timely my very young friend transistioned to ancestor after struggling with heart disease. I was wondering what I could share with his family. On my way to Blue Nile to get some Motherwort. Greetings, Nikki. My deep condolences to you. Yes, motherwort is a wonderful herb to support us when we are grieving. I relied heavily on motherwort tincture and teas made of dried linden blossoms while grieving for a loved one earlier this year. Linden tea is delicious and soothing. Herbs can be hugs sometimes. on September 18, 2012 at 8:48 am | Reply Motherwort Honey « Bees Alive!